This is the 2nd Edition of Rob Collie's best-selling book on Power Pivot. 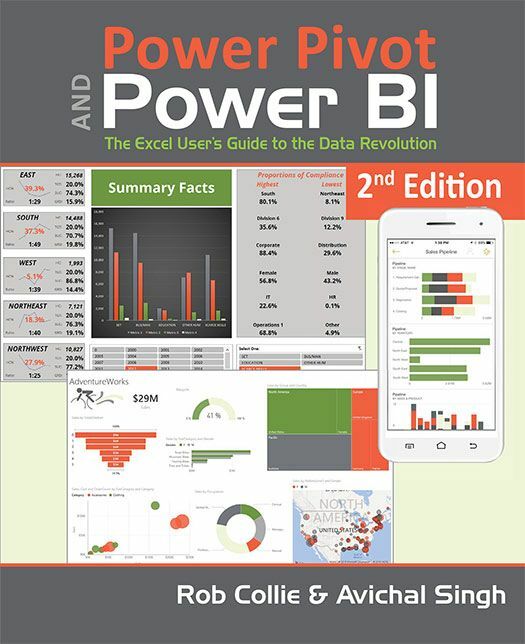 Updated to include Power Query and Power BI. Covers Excel 2010 through Excel 2016. Power Pivot for Excel and its close cousin Power BI Desktop are Microsoft’s tightly-related pair of revolutionary analytical tools – tools that are fundamentally changing the way organizations work with data. We have repeatedly witnessed the “Power tools’” transformative impact on the bottom line – far more robust and elegant than Excel alone, and much more agile and affordable than traditional BI tools. Their shared state of the art calculation engines (DAX and M) turn any PC into an analytical supercomputer, but the real secret is people – these tools are 100% learnable by today’s users of Excel. The data revolution lays not in the hands of an elite few, but in YOUR hands, and we want to help you seize that opportunity.